Addressing Title IX concerns at William & Mary is a collaborative effort. These are the staff primarily involved in responding to reported sexual misconduct. For information about each Title IX staff member, click on the staff member's name. 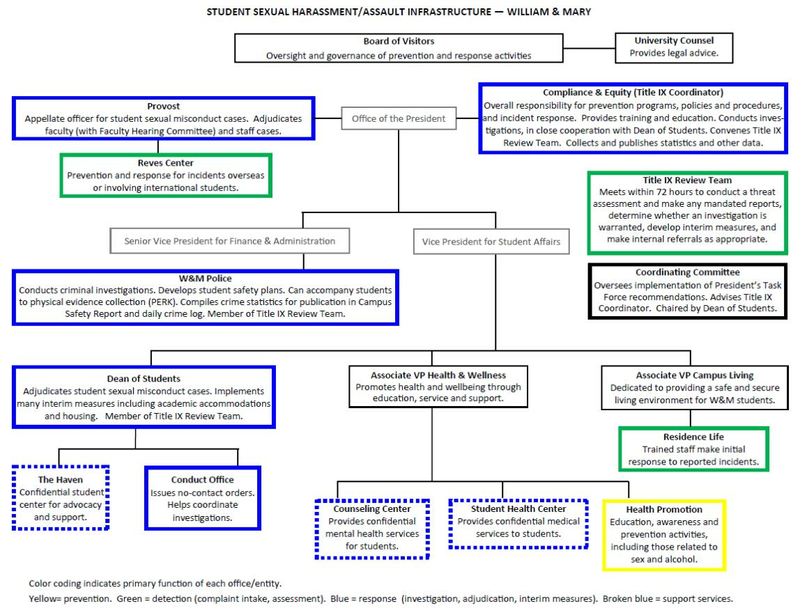 For information about how the Title IX staff and offices work together, please view the Title IX Organizational Chart (pdf).